Mumbai, After Deepika Padukone and Priyanka Chopra, the young artist of Bollywood Varun Dhawan has announced his marriage. Varun Dhawan and Katrina Kaif attended the 4th episode of the new season of the most popular show of Bollywood leading film maker, Karan Johar, ‘Coffee with Karan’ and they shared various important things . In this show, Varun Dhawan also announced his marriage. 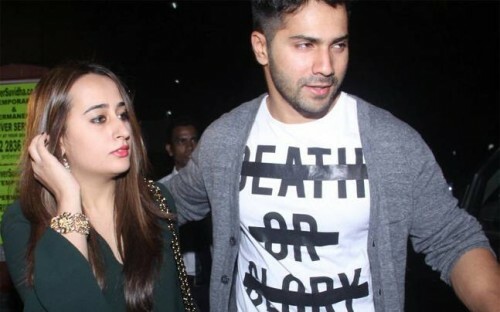 According to Indian media, the host, Karan Johar, of the show, ‘Coffee with Karan’ asked many interesting questions and Varun Dhawan gave the replies to his questions and said that his long continued meetings and relationship is now entered in the final stage and he will get married with his girl friend, Natasha Dalal very soon. Varun has also revealed in the show of Karan Johar that he and Katrina Kaif will appear in a movie together for the first time and the story of the movie will be based on dance and music. The wedding season in Bollywood is in full spring and Ranveer Singh and Deepika Padukone will get marry and after that Priyanka Chopra and Nick Jones will get marry during this year.